practice that matters. Kirlian photographs can easily be used to demonstrate this scientific truth. There are 28 natural elements used for day to day living in physical body of the human being. The brain weighs 2% of the body weight – say roughly 1.8 kilos per male and 1.6 kilos per female of the humans. Neurons are approximately numbered 100 billions. The brain is the central data sorting center for all the vibrations. The neurons generate, receive or transmit the vibrations of different frequencies going in an human body. About fifty two parts of the brain control all the functions of the body through the neurons and their activities through vibrations. Seven major energy centers of body control the flow of energy. It is a demonstrable fact that Kirlian photograph can show these seven centers of the body, which are influenced by the light ( seven color of rainbow designated by VIBGOUR ). That these energy centered are either working well or not so or diffused, broken or not all right in all respects as per daily routine of humans. Yoga unites and these energy centers by making the necessary changes in the energy centers. Performing yoga and chanting certain mantras corrects or mends these energy centers and ultimately restores good health and other activities. 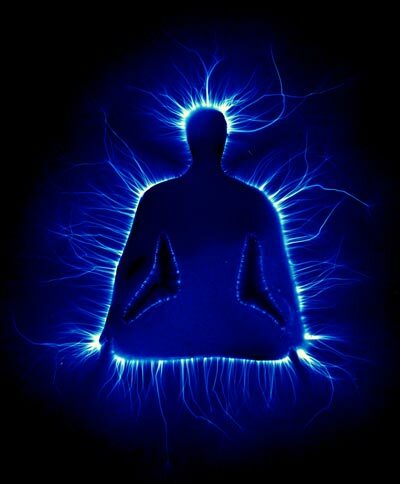 Some diseases are cured or others are minimized.That all this can be proved through Kirlian photography. Hence it is Yoga should be practiced by all human being irrespective of class, creed, citizenship or local variable conditions/race.